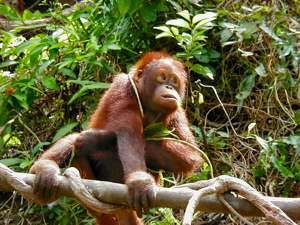 Borneo is home to many endangered species, including the orang utan. Several travel trade companies offer opportunities to see these fascinating animals during a trip to Borneo. Representatives from Sabah and Sarawak take part in many international trade shows, exhibitions, road shows and other events. Berlin hosts one of the major trade shows, taking place every year in spring.